Royal Norwegian Air Force Maj. Morten Hanche, a 62nd Fighter Squadron F-35 Lightning II student pilot, makes a historic takeoff Dec. 14, 2015, at Luke Air Force Base, Ariz. This was the first time a Norwegian F-35 was launched under the helm of a Norwegian pilot. 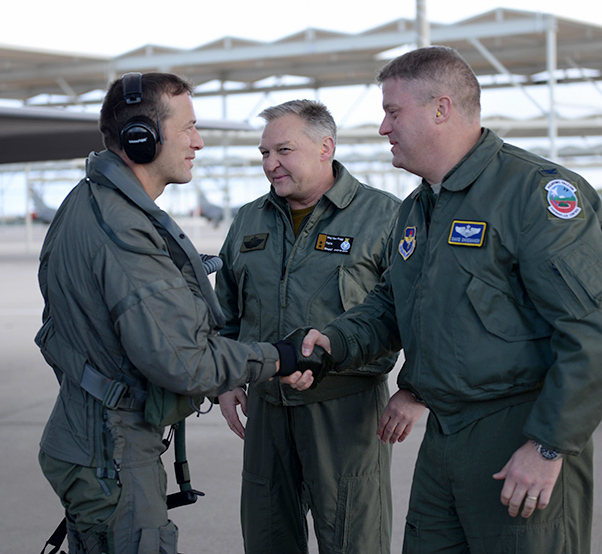 Maj. Morten Hanche, a Royal Norwegian Air Force F-35 Lightning II student pilot training with the 62nd Fighter Squadron at Luke Air Force Base, Ariz., flew the first Norwegian F-35 sortie Dec. 14. Hanche has been training at Luke under the instruction of American pilots for the past several months in order to become Norway’s first F-35 pilot and instructor, part of a wider effort to foster international cooperation of global F-35 fleet development, which include the air forces of partner nations Australia and Italy. This event, which marked the first flight of a Norwegian-bound F-35 at the hands of a Norwegian pilot, was attended and observed by Maj. Gen. Per-Egil Rygg, the Royal Norwegian Air Force chief of staff. 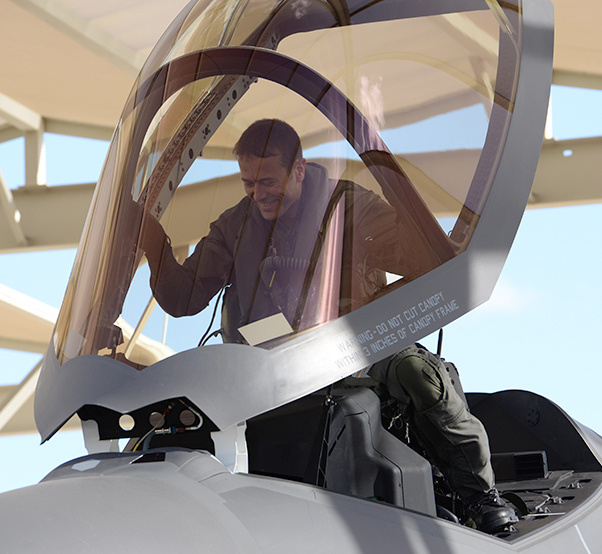 Royal Norwegian Air Force Maj. Morten Hanche, a 62nd Fighter Squadron F-35 student pilot, smiles as he enters the cockpit of a Norwegian F-35 Lightning II for the first time, Dec. 14, 2015. 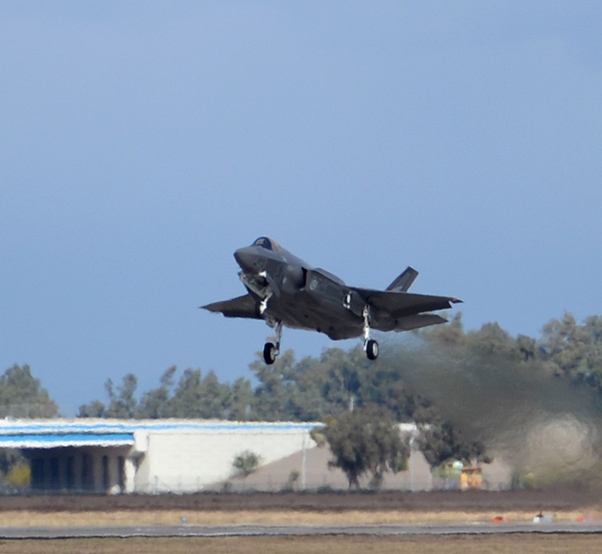 The F-35, produced at the Lockheed Martin facility in Texas, is one of the first two Norwegian F-35s produced; both of which are currently stationed at Luke AFB for development and training. Lt. Col. Gregory Frana, the 62nd FS commander, flew alongside Hanche and guided him through the sortie. Frana commands the training efforts of the international pilots assigned to the 62nd FS. An F-35 Lightning II piloted by Royal Norwegian Air Force Maj. Morten Hanche, a 62nd Fighter Squadron F-35 student pilot, taxis to rest on the flightline after a successful sortie Dec. 14, 2015, at Luke Air Force Base, Ariz.
Two other Norwegian pilots are now undergoing the initial academic phase of their training here, with more slated to arrive in March. The pilots will eventually join Hanche in flying the F-35. 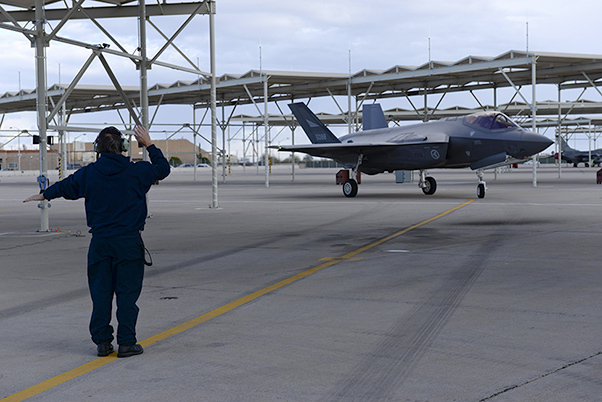 Norwegian maintainers are also at Luke AFB, learning to repair and maintain the F-35s that will one day be on their home flightlines in Norway. 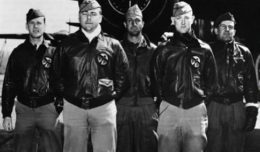 Eventually, all of the airmen will return home to help develop the training program for their own air force. Royal Norwegian Air Force Maj. Morten Hanche, a 62nd Fighter Squadron student pilot, shakes the hand of Col. David Shoemaker, the 56th Fighter Wing vice commander, in front of Maj. Gen. Per-Egil Rygg, the Royal Norwegian Air Force chief of staff, after successfully completing a sortie in a Norwegian F-35 Lightning II Dec. 14, 2015, at Luke Air Force Base, Ariz.